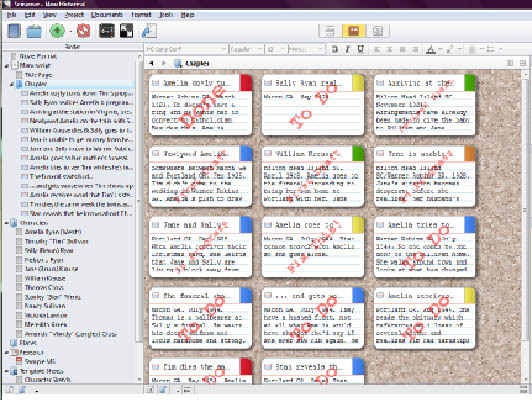 I told General that I'd link some writing software I've use, so here it is! This thread will one day become a list but at the moment it contains just one (although, it's probably all you need for now). It's an amazing program that is described as a virtual binder. It keeps a collection of separate files and allows for easy editing, backup and organisation. It's excellent for writing long form projects with many sections/chapters. I've been using it for a few years now and it's kept me focused. I wouldn't of written 60k words without it. You can grab a 30 day free trial that only runs out when you have the program open. it's great for letting you get to know the basics to see if it fits your work flow. (If anyone else has any other suggestions, post em').